Born in Edinburgh, Scotland, Sean Michael Wilson has written fourteen books of comics and manga, including a version of Charles Dickens's A Christmas Carol (with artist Mike Collins); Emily Brontë's Wuthering Heights; Oscar Wilde's A Canterville Ghost; The Japanese Drawing Room (with RING horror manga artist Sakura Mizuki); Sweeney Todd (with artist Declan Shalvey); and the documentary book Iraq: Operation Corporate Takeover (with artist Lee O'Connor). 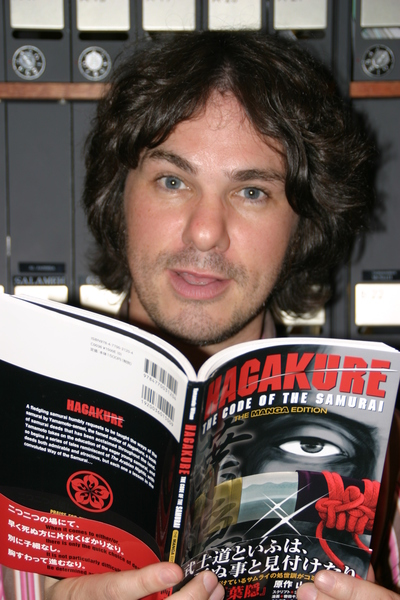 He edited the second volume of the critically acclaimed series AX: Alternative Manga. Wilson has received several grants from both the English arts council and the Great Britain Sasakawa Foundation in support of his Japan-related publications. He lives in Japan.